While rooftop beer gardens with cold glasses of one’s favorite suds are the popular way among many in Japan to cool off during the hot summer and early weeks of autumn, gin, whether served neat with a bit of water, over the rocks, mixed in a tonic, or as one part of an endless variety of exotic cocktails is the other widely preferred spirit. 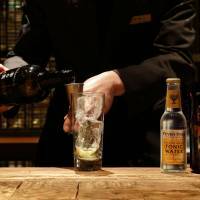 Until recently, getting a gin-based drink in Japan meant watching as the bartender reached behind, or under, the counter to pull out a bottle of one of perhaps five major internationally known labels typically based in the United Kingdom. Refreshing, yes, but not exactly a “uniquely Japan” experience along the lines of drinking sake, plum wine or shōchū (distilled liquor). Over the past couple of years, however, craft gin distilleries have been popping up, producing low-volume, high-quality gin that sources Japanese, and often very local, ingredients to create gins that are, by turns, fruity, peppery, smooth and packed with complex flavors. 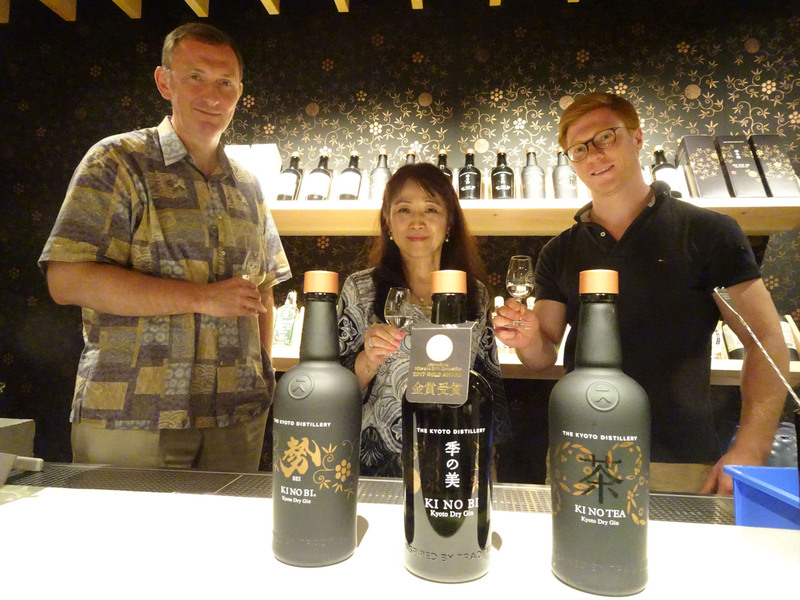 While Tokyo is the biggest market in terms of sales, some of the more prominent distilleries in operation — about 20 as of June — are based in the western part of Japan. To be called a proper gin, the spirit must have juniper berries, which are imported from other parts of the world. 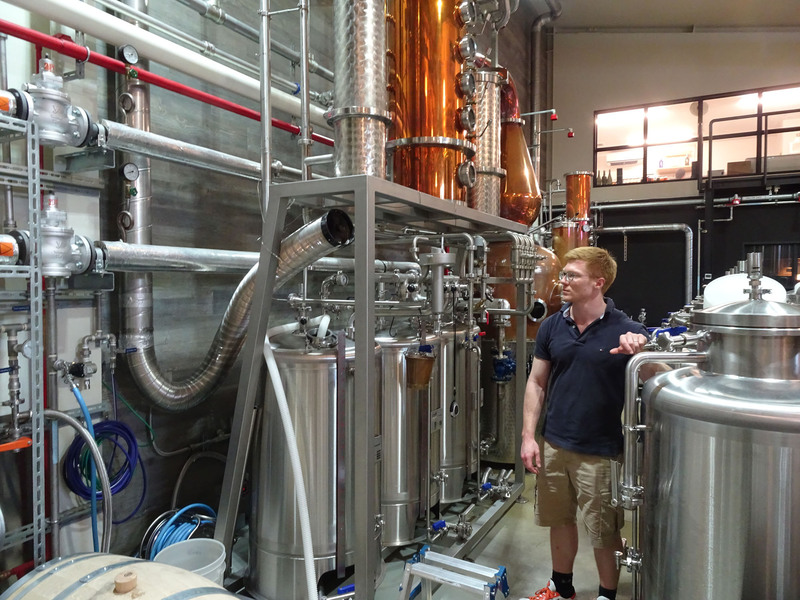 But from there, distillers are limited only by their imaginations and the availability of whatever ingredients, or botanicals, they wish to add to the mix. Japanese craft gin makers often have their roots in the shōchū, whisky or even soy sauce business. And unlike, say, Japan’s craft beer industry, which the government and major breweries initially viewed with suspicion if not downright disdain, the burgeoning craft gin market in Japan has already seen the entrance of major firms such as Suntory and Nikka into it. Suntory released its Osaka-made Roku craft gin in July 2017. Roku, which means six in Japanese, refers to the six domestic ingredients, or botanicals, used in production. These include Japanese pepper, yuzu citrus, green tea and even cherry blossoms and cherry leaves. 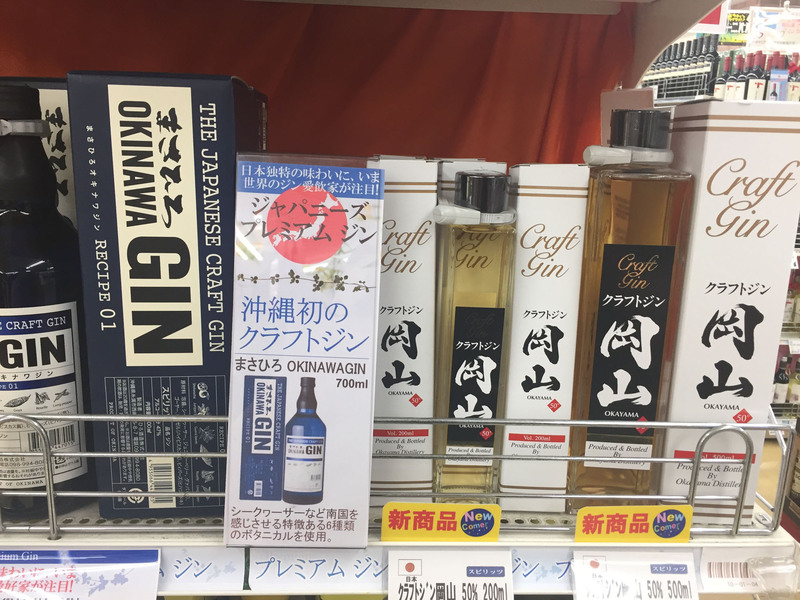 In addition to major liquor retailers in Japan, it was made available in Germany, Taiwan and some Southeast Asian markets in the autumn of last year. Nikka’s Coffey Gin, which is made in Sendai, debuted in June 2017 and is one of the more complex craft gins on the market. It uses 11 botanicals, including yuzu, sanshō pepper, kabosu (a type of citrus), amanatsu (a sweet variety of the Watson pomelo citrus) and shequasar, which is otherwise known as a Taiwan tangerine and is especially popular in Okinawa. “The ingredients we used, which are sourced in Kyoto, the final flavor profile we reach, the bottle design and packaging, and the respect we show for the history and culture of Kyoto is in our gin,” Croll says. He says that while there is a lot of tradition and history in Kyoto, there’s also a lot of innovation and a spirit of collaboration. Kyoto Distillery’s Ki no Bi uses botanicals sourced from Kyoto area farms, including yuzu, lemons, sanshō pepper leaves, red shiso and bamboo leaves. 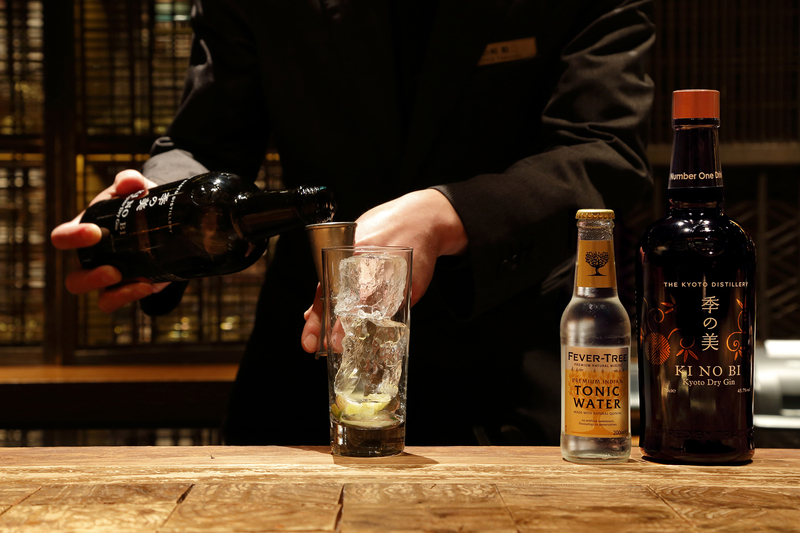 The result, Davies says, is a gin that is more delicate, especially compared to stronger gins that are often used in traditional gin and tonics. Food writers have suggested that, rather than a strong tonic water that can hide the gin flavors, Ki no Bi is best enjoyed over the rocks or with just a dash of water. 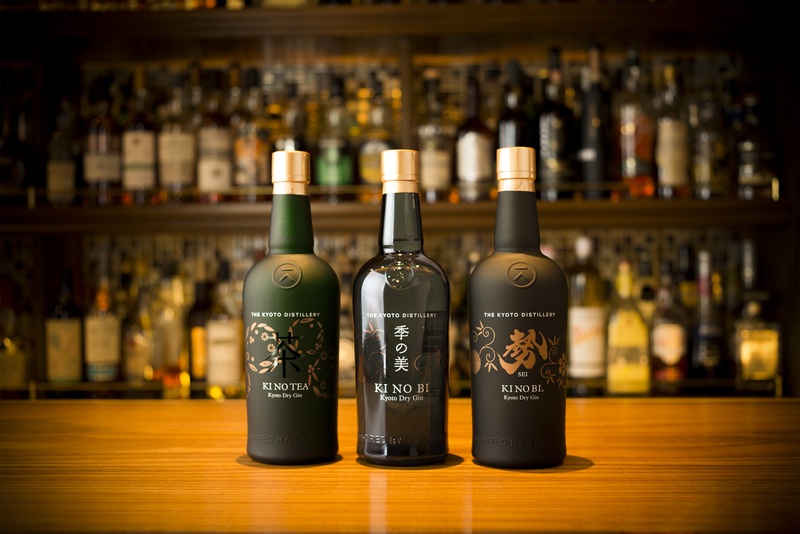 Kyoto Distillery produces three types of gin: Kin no Bi, Kin no Tea, which uses Kyoto tencha and gyokuro teas, and Ki no Sei, which until last year had been branded as Navy Strength Limited Edition. The term “navy strength” was traditionally used for gin that was at least 114 proof (about 57.5 percent) alcohol by volume and it has a colorful history. In the 18th century, British Royal Navy ships carried gin on board, but there were often problems with unscrupulous distilleries or wholesalers who watered it down before selling it to the navy. This could become a very practical problem if, during a gunfire exchange with, say, French or American warships and privateers, a cannon ball smashed the diluted gin stored below deck, spilling it onto the gunpowder, which would then fail to ignite. The Kyoto Distillery is dedicated solely to gin, while Suntory and Nikka are international conglomerates that produce all manner of drinks, alcoholic and nonalcoholic. 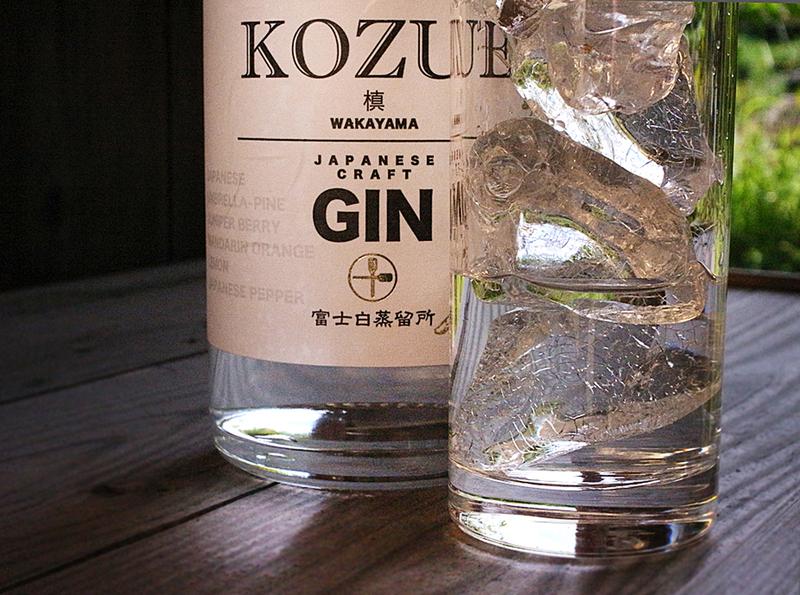 In between, there are gins such as Kozue, produced by Nakano BC Co. Ltd., a firm that traces its beginning back to soy sauce production in the 1930s. The company’s headquarters rests in a tranquil Japanese garden, with a pond, a waterfall, and a small forested area where employees and visitors can try Nakano’s plum wines, kibaichu (a shōchū-type produce made by distilling undiluted umeshu), shōchū and sake, as well as their newest product, Kozue craft gin. 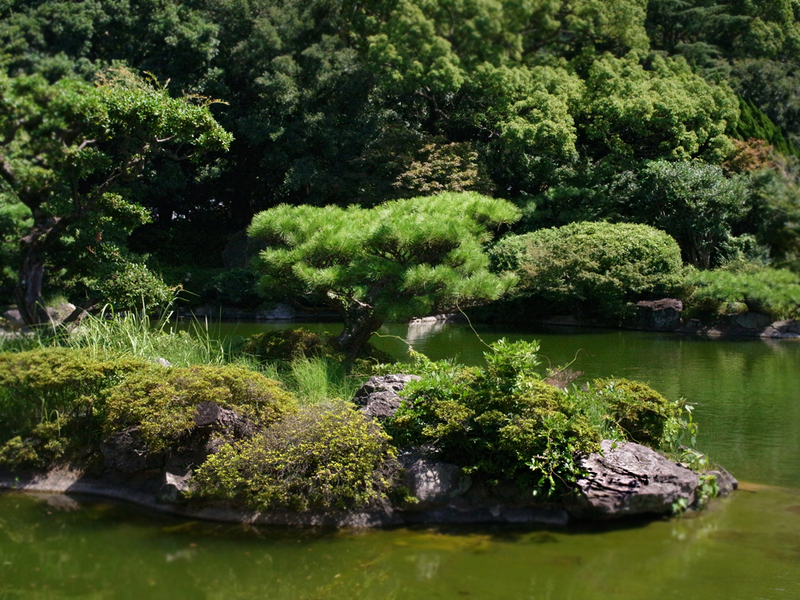 “What makes Kozue unique is the use of a Wakayama botanical product called koyamaki (Japanese pine umbrella). It’s an ancient herb that gives the gin a very fresh scent. We also use Wakayama lemon peels and mandarin orange peels, as well as local sanshō pepper seeds,” says Naoki Yukawa, a sales and marketing director. Nakano BC has become a popular destination among gourmet travelers to Japan, who can take tours of the garden and the sake, umeshu and gin distilleries. Yukawa says that it gets about 40,000 visitors, including 2,000 foreign visitors each year. They can sample the drinks and purchase their own bottles, some varieties of which are extremely hard to find commercially, at the gift shop. Other craft gin distilleries that have received positive reviews from journalists and bloggers include Okinawa’s Masahiro gin, which uses hibiscus flowers, guava leaves and bitter melon. 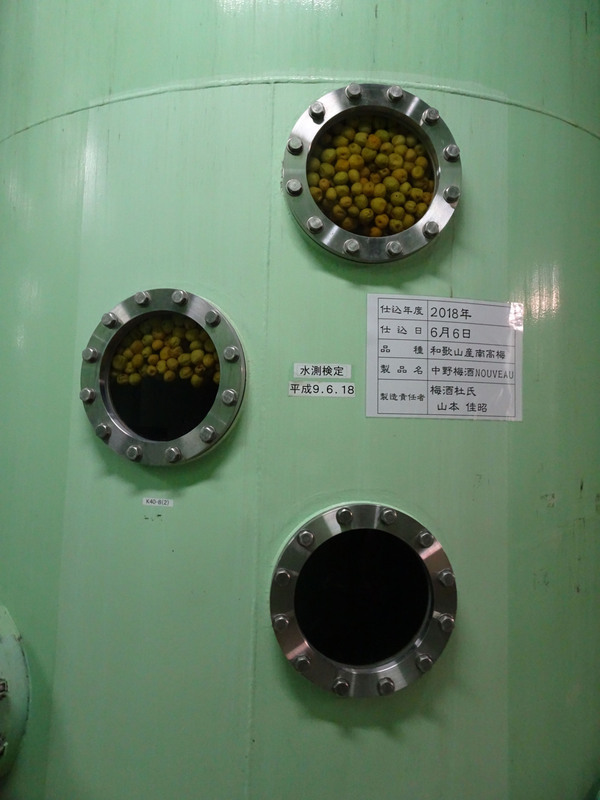 Hiroshima’s new Sakaruao distillery, which began production earlier this year, uses Japanese cypress and oyster shells. And in Hokkaido, the distillers at Sapporo’s Benizakana Distillery appear to be politically aware literate types with a sense of irony whose favorite novel is George Orwell’s “1984.” Their craft gin is called 9148, a reversal of the numbers included in the title of Orwell’s novel. It was inspired by a scene in the book where, as the website explains “the hero Winston Smith, whose job is to work as a censor of news and rewrite history, is drinking a gin called ‘Victory Gin’ that nearly makes him vomit. He dreams of the days before Big Brother took over, when people were free and he could drink really good gin,” the website says. It’s Hokkaido’s first craft gin and uses locally grown shiitake mushrooms, Hidaka kelp and dried radishes. It also went into production earlier this year. Finally, for particularly finicky customers, there is Wa Gin, from Miyagi-based Meiri Shurui, a sake maker. The gin uses seven botanicals, and the base is sake. It’s aged for 10 years, making it the “oldest” craft gin in the country. Craft gin has been booming in the United Kingdom and the United States for about a decade, and there are said to be hundreds of distillers in the former and thousands in the latter. Some produce not only gin but other spirits as well, and competitions for the best craft gin are ubiquitous. 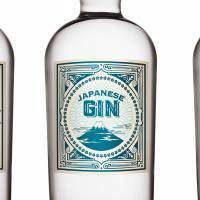 Japanese craft gins are just now gaining increased recognition abroad. Ki no Bi has won several international awards, including, mostly recently, the Contemporary Gin Trophy at the International Wine & Spirits Competition. This year, Sakurao Gin won the gold medal at the same competition as well as a gold medal at the Los Angeles International Spirits competition. In Japan, there are now a number of craft gin-related events. One of the first was the December 2017 Gin-posium in Tokyo. It offered seminars and lectures on both the international craft gin boom and developments in Japan, as well as tastings. Other events this year included Ginfest Tokyo, which took place in June. 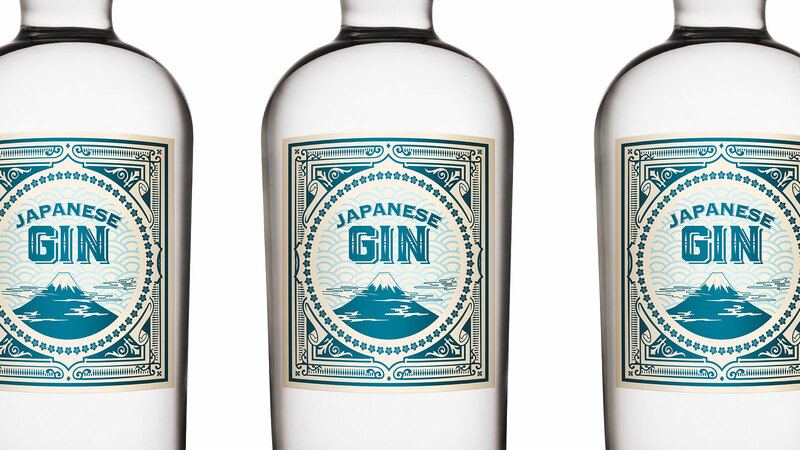 Everyone agrees that Japanese craft gin is going through a boom at the moment, but distillers are cautious about how big it might ultimately become. 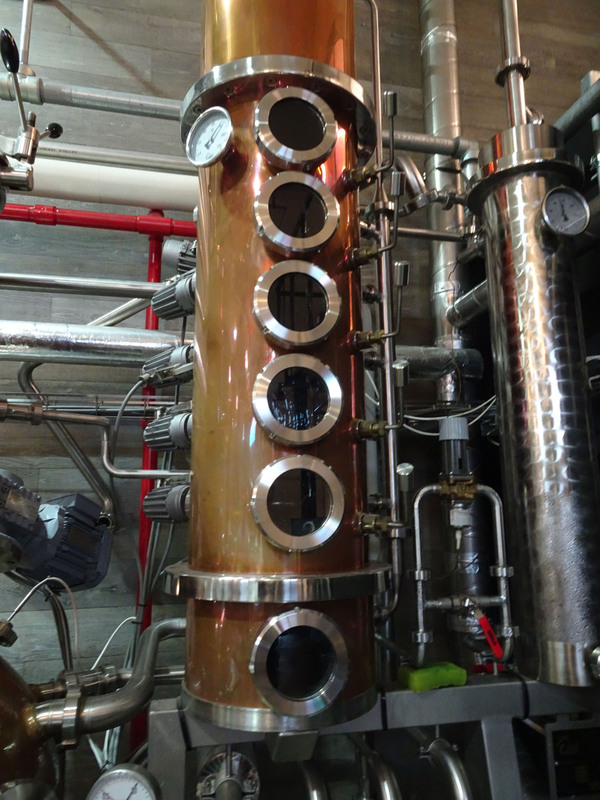 “In our case, we make a lot of different products and craft gin is just one of them. We’re limited by production capabilities and available personnel, even though we’re confident we’ll exceed sales projections for our craft gin this year,” Nakano BC’s Yukawa says. Croll thinks it might be difficult to increase production much further. The international tourist boom means an influx of ever-more sophisticated tourists who no longer want something that is generically “Japanese” but is specifically connected to the local region they are visiting and perhaps not for sale outside it. Craft gin, like a good but rare local sake, fits the bill. While cocktails and gin and tonics will always be available in Japan, the domestic market for craft gin, and the way it is consumed, is evolving a bit differently from other countries, Croll says. Records show that there were attempts as early as 1812, in the Dutch enclave of Dejima in Nagasaki, to produce handmade gin in Japan. The results of those early efforts and whether they were appreciated by both strict officials of the Edo Period (1603-1868) who kept a wary out for all foreign influences or the local populace have been lost to history. Now, over two centuries later, Japan-based gin is once again being made with the all-essential juniper berries imported from abroad but local fruits, vegetables and other botanicals thrown into the mix to create a spirit known around the world that remains distinctively Japanese.